So said the eminently quotable Francis Crick about his 1953 discovery with James Watson of the structure of the DNA molecule. 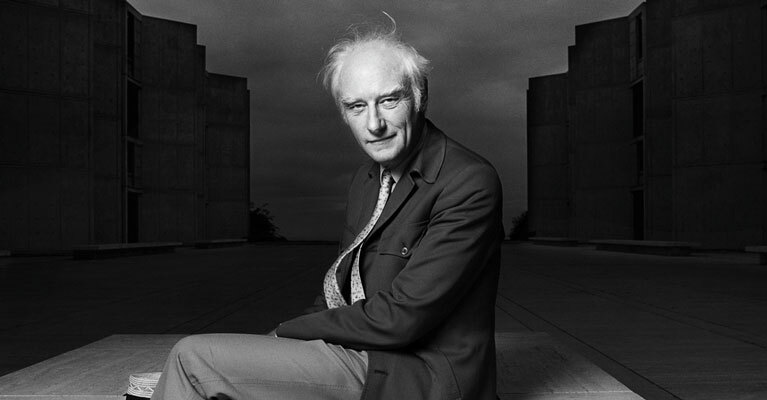 Crick joined the Salk Institute faculty in 1976 and for the next 27 years focused on neuroscience, championing research to discover the neural underpinnings of consciousness. This year, on June 8, Salk commemorated the centenary of his birth. Rusty Gage began his three-year term on the governing council of the National Academy of Sciences (NAS), an institution that advises the nation on science and technology issues. 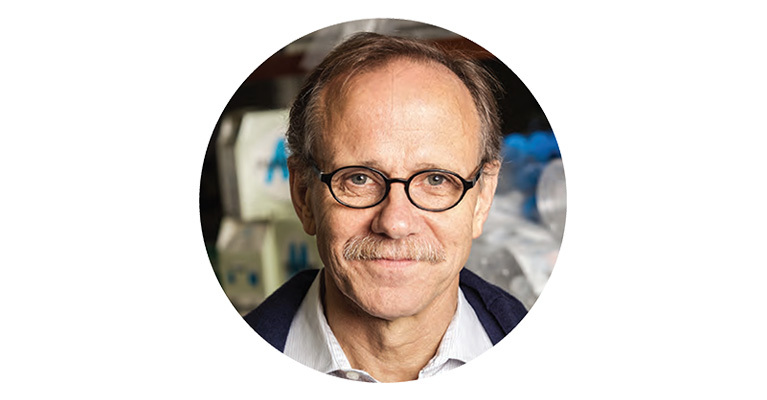 Gage, a professor in the Laboratory of Genetics and holder of the Vi and John Adler Chair for Research on Age-Related Neurodegenerative Disease, is the first Salk scientist to be elected to the 17–member NAS council. He and 14 Salk colleagues are among the more than 2,700 members and 450 foreign associates of the NAS, which was established in 1863 by an act of Congress, signed by President Abraham Lincoln. For the first time, the Salk Institute bestowed its Medal for Research Excellence on not one, but two, distinguished scientists. Both recipients delivered lectures on their work to a full auditorium before receiving the awards during the April Board of Trustees dinner at the Institute. 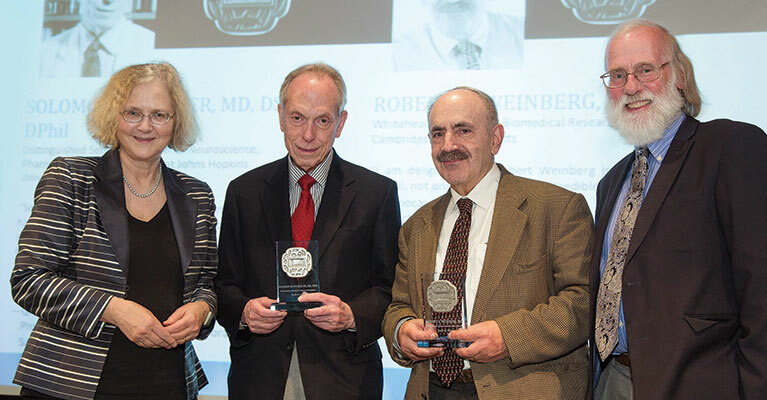 Robert Weinberg, a founding member of the Whitehead Institute for Biomedical Research in Cambridge, Massachusetts, was chosen by Salk’s faculty medal committee for his internationally recognized, lifelong work on the genetics of human cancer. Solomon Snyder, Distinguished Service Professor of Neuroscience, Pharmacology and Psychiatry at Johns Hopkins University, was selected for his transformative research on neuropharmacology. The medal was created to award individuals who make significant contributions in basic science research with particular impact on science policy, humanities, the Institute, or human health. 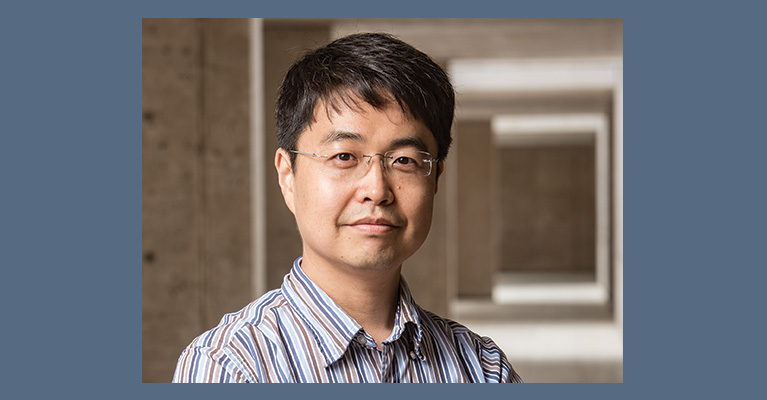 Sung Han, a postdoctoral fellow studying behavioral neuroscience and psychiatric disorders at the Howard Hughes Medical Institute/University of Washington School of Medicine, joins the Salk Institute as an assistant professor. Previously, Han worked in the university’s Department of Pharmacology and at LG Life Sciences and LG Chem. He received his bachelor’s degree in genetic engineering from Kyungpook National University, a master’s degree in neuroscience from Pohang University of Science and Technology and his PhD in neuroscience from the University of Washington School of Medicine. In the Peptide Biology Lab, Han will continue his research into the neural circuitry of neurons that contain specific neuropeptides to provide fundamental insight for developing therapies for anxiety, panic and autism spectrum disorders, schizophrenia and metabolic syndromes such as obesity and hypertension. 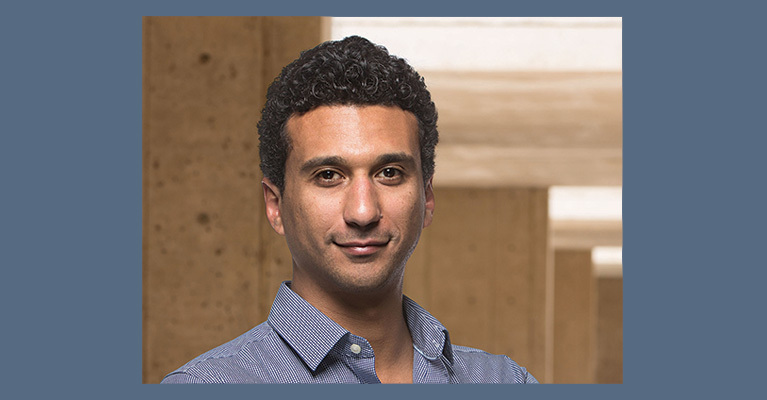 Eiman Azim, recognized for his research on neural circuits that control skilled movement and an Eppendorf & Science Prize winner, has joined the Salk Institute as an assistant professor in the Molecular Neurobiology Laboratory. A postdoctoral research fellow at Columbia University Medical Center, Azim received undergraduate degrees in biology and philosophy from Stanford University and his PhD from Harvard University. He joined the Institute in May and will continue his investigation of neural circuits in the spinal cord and brain to determine how skilled movements work to potentially help generate new treatments for neural and spinal cord dysfunction. The Salk Institute lost an ardent and visionary supporter in May with the death of John Codey, a trustee of the Leona M. and Harry B. Helmsley Charitable Trust. He played an integral role in accelerating research in diverse areas of science, including cancer, diabetes, Alzheimer’s, stem cell biology and regenerative medicine. A $42 million award from the Helmsley Trust in 2013—the largest in the Institute’s history—established the Helmsley Center for Genomic Medicine at Salk and enabled the Institute’s leading scientists to use genomic data and powerful technologies to understand how certain cellular pathways serve as lynchpins for chronic diseases and to pave the way to effective new therapies. Through Codey’s advocacy and the support of the other trustees and staff, the New York trust reached beyond its base in the Northeast to help Salk build on its long track record for groundbreaking discoveries. The Trust has issued other major gifts to Salk, as well. In 2009, the Trust awarded a $5.5 million grant to establish the Salk Center for Nutritional Genomics to study nutrition at the molecular level and its impact on the role of metabolism in diabetes, obesity, cancer, exercise physiology and lifespan. In 2010, it awarded an additional $15 million to create a collaborative stem cell project involving Salk and Columbia University to fast-track the use of induced pluripotent stem cells to gain new insight into disease mechanisms and screen for novel therapeutic drugs. 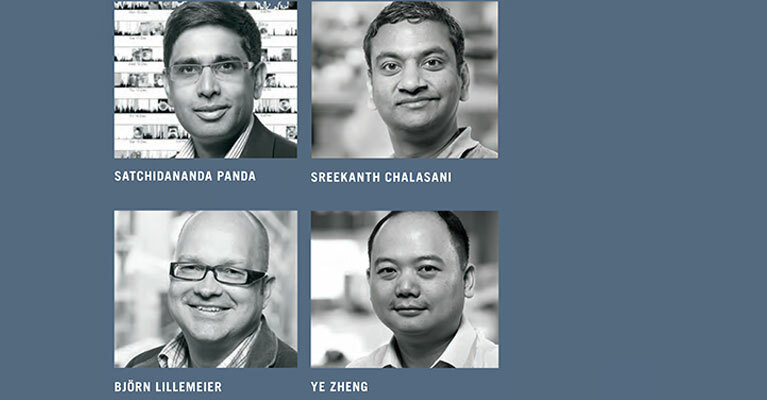 These centers have made a number of important breakthroughs already, including developing new ways to use stem cells to study psychiatric diseases in the laboratory, advances in understanding the genes underlying cancers and the development of a drug currently being tested as a treatment for obesity and metabolic disease. Those are just a few of the innumerable ways that Codey and the Helmsley Charitable Trust have been making a difference through their generous support of Salk science. In addition to participating in a number of Salk events in La Jolla and New York every year, Codey was an active member of the Salk International Council and traveled with the group to Spain, France and Venice. A raconteur with a warm personality, Codey will be greatly missed by the entire Salk community. His legacy of stalwart support for Salk science will carry far into the future. Ubiquitous throughout the San Diego region, Conrad Prebys’ name can be found connected to medical centers, arts programs, even the zoo. He was a particularly bold presence on The Mesa, where he donated millions to institutions such as the Salk Institute. The Salk Institute proudly counted Prebys as a visionary and supportive friend who followed his passions and gave with joy. His philanthropy to the Institute spanned years, enabling researchers to discover the next generation of breakthrough medical therapies. For years, Prebys also generously underwrote the San Diego Symphony for the annual gala Symphony at Salk, and he contributed $2 million to establish the Conrad T. Prebys Endowed Chair in Vision Research for Professor Thomas Albright. He further supported and helped shape Salk as a member of the Board of Trustees from 2009 to 2014. On behalf of Salk Board Chairman Irwin M. Jacobs, President Elizabeth Blackburn, the Board of Trustees and the entire Salk community, our deepest sympathies go to Prebys’ life partner, Debra Turner.